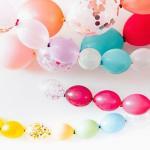 - There are no synthetic rubber balloons yet (there are latex free surgery gloves, but the material doesn't seem to have the qualities needed for balloons). 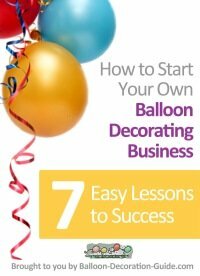 - Other than Mylar or Foil Balloons there is just one alternative that seems to be useful for balloon decorations: plastic balloons. 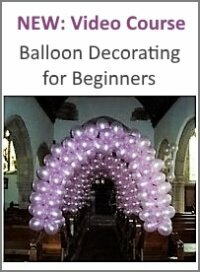 - For balloon twisters the alternatives are even fewer: PVC balloons and Poly Tubing were mentioned. - Two products are suggested for twisters with a latex allergy to help them continue their job, at least for some time: Nitril Gloves and a kind of hand cream called "Hands Plus", which acts as a barrier between the skin and the latex. 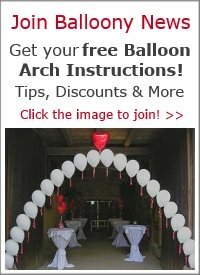 - All latex free alternatives are more expensive than the latex products - which makes it difficult to survive against your competition.